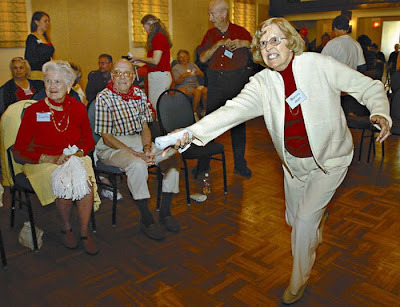 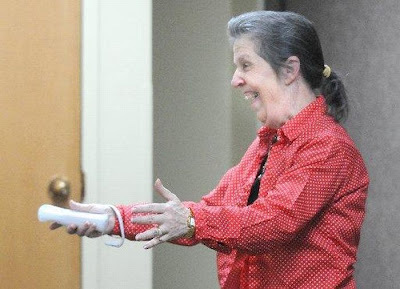 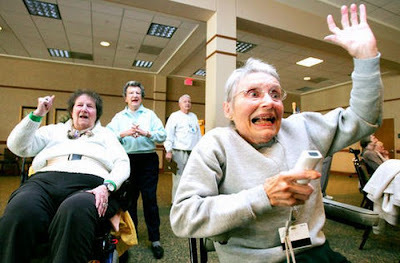 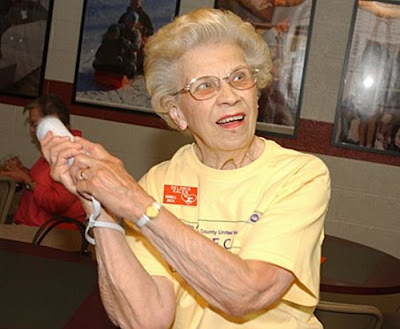 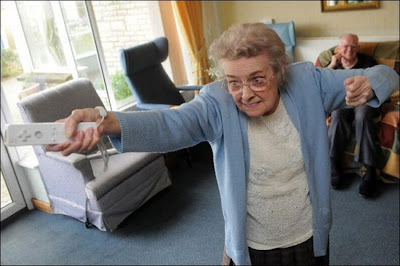 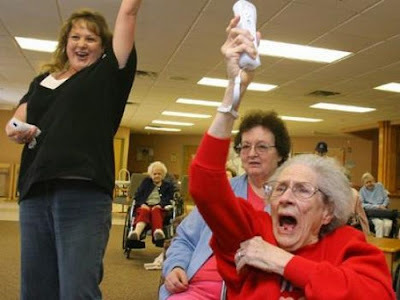 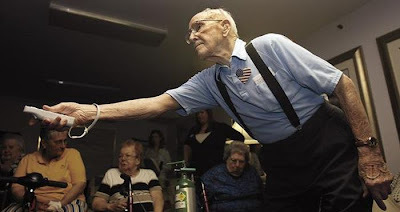 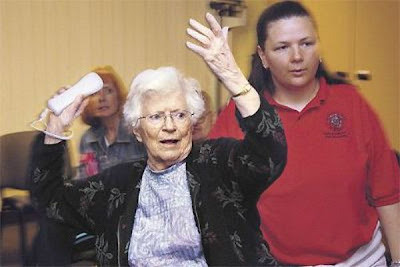 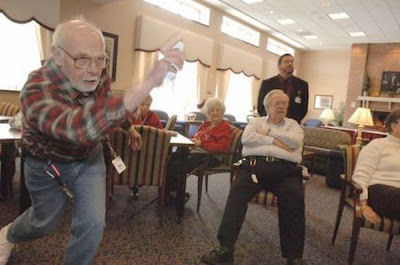 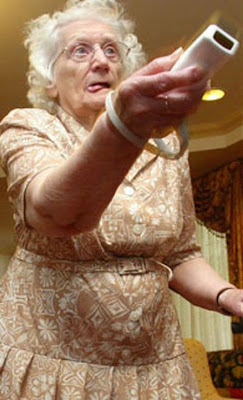 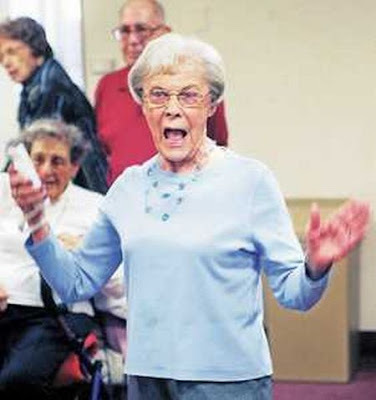 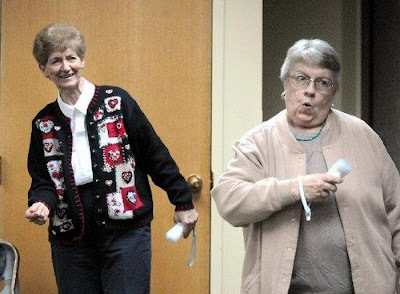 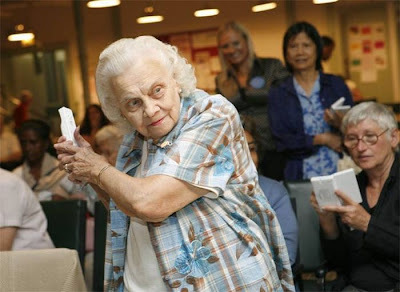 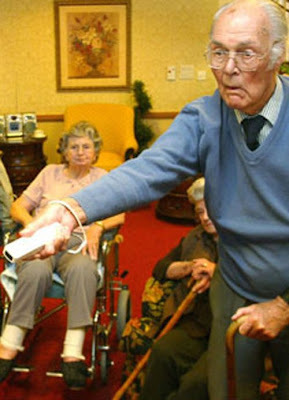 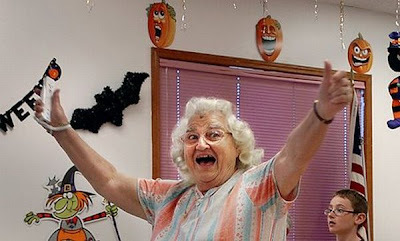 The Wii's new twist on video games incorporating arm motions with a motion-sensitive control bar the players holds makes the games accessible for the elderly. 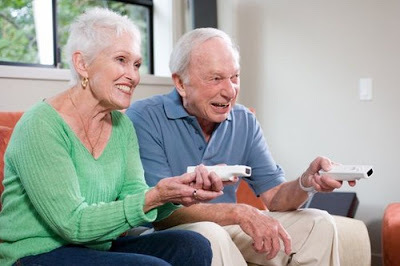 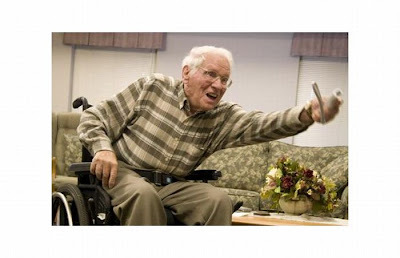 It allows them to participate in sport activities, and they can still be sitting in their chair if they want and it brings them up to date with technology. 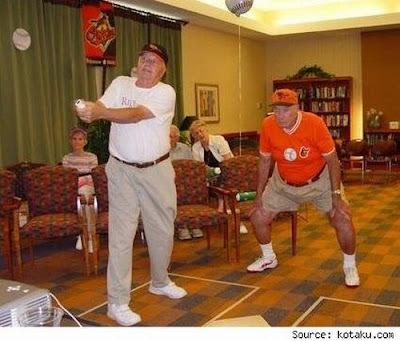 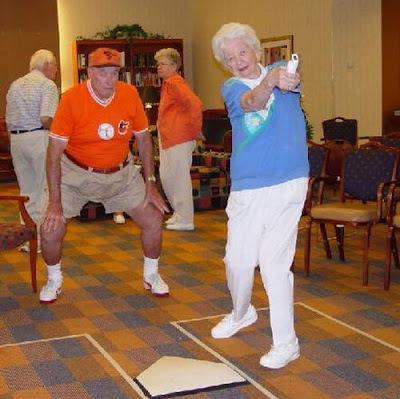 Good to see the elderly finding a way to exercise.